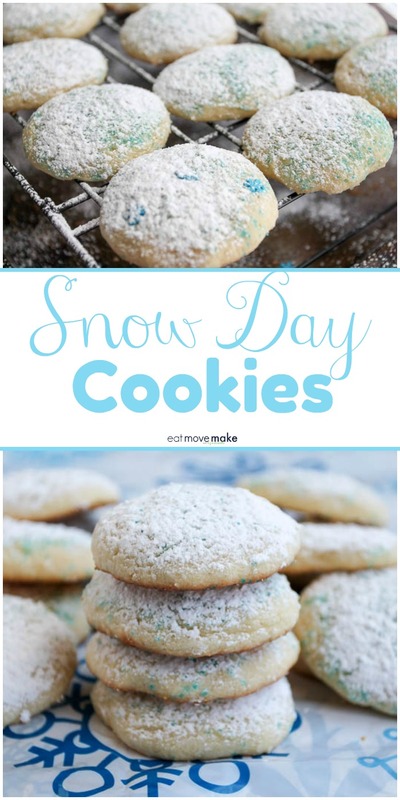 Snow day cookies are so much fun to make with the kids, so when the winter weather keeps you indoors, bring the kids into the kitchen for some winter cookie fun! I added a couple of extra ingredients to the cookie mix to make them super soft and puffy — like little cookie pillows. 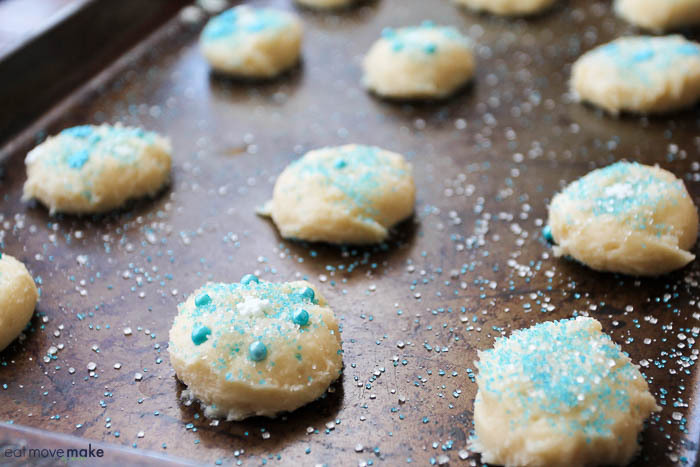 And the decorating is all up to you, but I think blue and white sprinkles are perfect for snow day cookies. 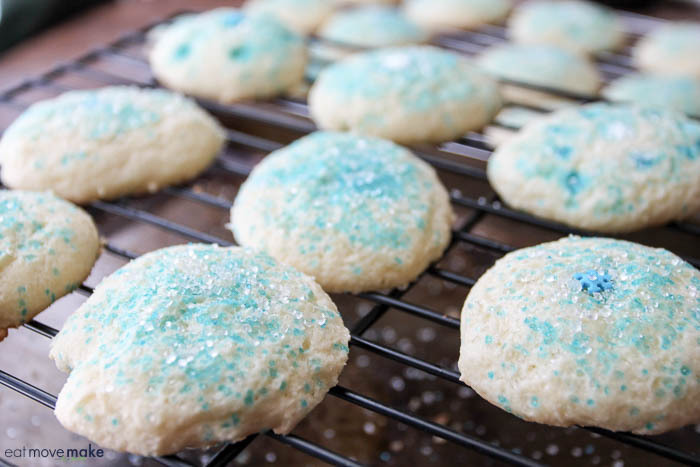 I think snow day cookies should be dusted with “snow”, don’t you? So, when the cookies are completely cool, sift some powdered sugar snow on top. Cute! And the best part of all will be when you bite into one. They’re soft, buttery and oh, so yummy! Get the complete recipe for my snowy day cookies at Krusteaz and celebrate snowy days like you never have before! These look like fun to make and so yummy! I can’t wait to make them with my granddaughter. 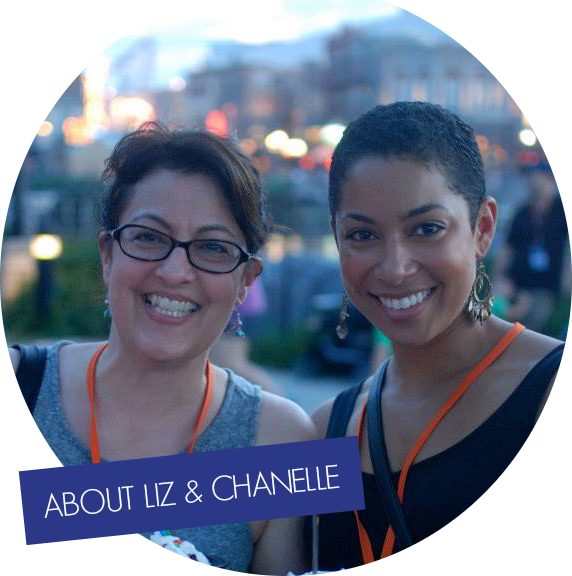 I love this recipe, really looking forward to making them! I especially like that it has cream cheese! Thanks for the great recipe! I’ve been making chocolate chip and oatmeal cookies lately and these look amazing. I can’t wait to make them! Where I live, we stay in because of ice more than snow. But I love these little snow cookies and would love to try them! Ah, the secret ingredient is the cream cheese! I can see where this would make them even yummier. These cookies look so yummy. My grandsons love to help bake. I just happen to already have a box of Krusteaz Butter Vanilla Sugar Cookie Mix. We will have to make these soon. I love these! We finally got a little snow here (we’ve been missing it), so these cookies will be perfect to make. I also love Krusteaz mixes. These look so yummy and would be really fun to make with my children! Living at 5000 ft in Idaho sometimes snow is the last thing I want to hear about – however I think these snow day cookies look delightful. 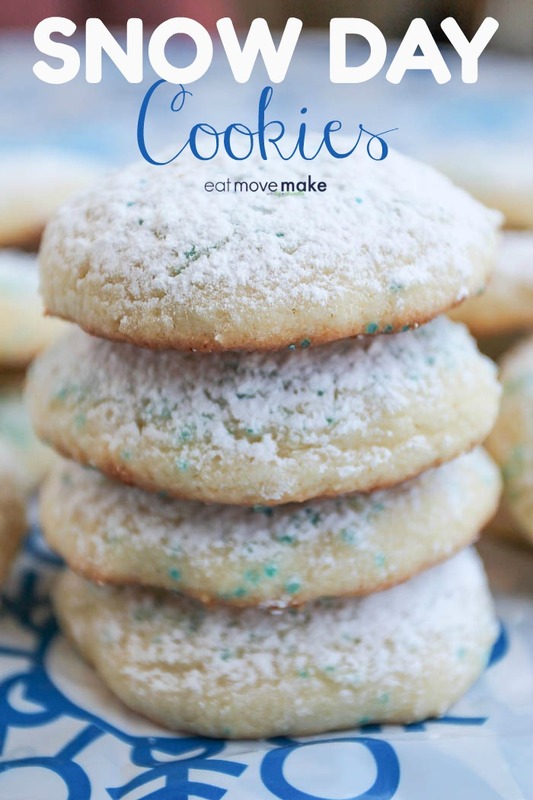 These look delicious and something my grandsons would love to help me make… and eat! How fun are these? Love this idea!